Choosing one of our Sectional garage doors creates a stylish feature that is sure to enhance not only the look of your home but also the security and improving insulation. With a variety of styles, colours and finishes available, you are sure to find the right sectional garage door for you. The sectional design makes the most of your driveway and garage. 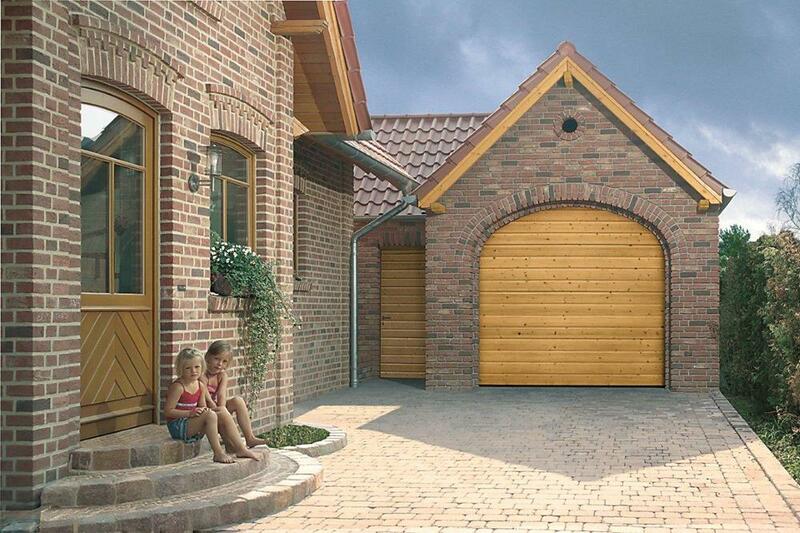 Vertical operation ensures you can park right up to your door and utilise your entire driveway. Headroom requirements are minimal with as little as 110mm needed with our low headroom motorised operation mechanism. 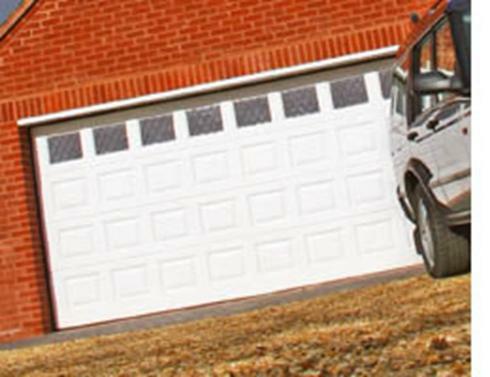 The Insulated Sectional door is a 40mm thick insulated double-skinned steel panel manufactured to the highest specification to ensure you get the most from your garage space. The security features leave your home totally protected with weather seals on all four sides to provide all-weather protection from wind and rain, ensuring your home is energy efficient saving you money. As well as a range of standard sizes all of our doors can be made to measure to the mm ensuring a perfect fit. Take time choosing your door and our experts will guide you through the process from start to finish. Our surveyor will visit your home to discuss your requirements then measure and install your door. 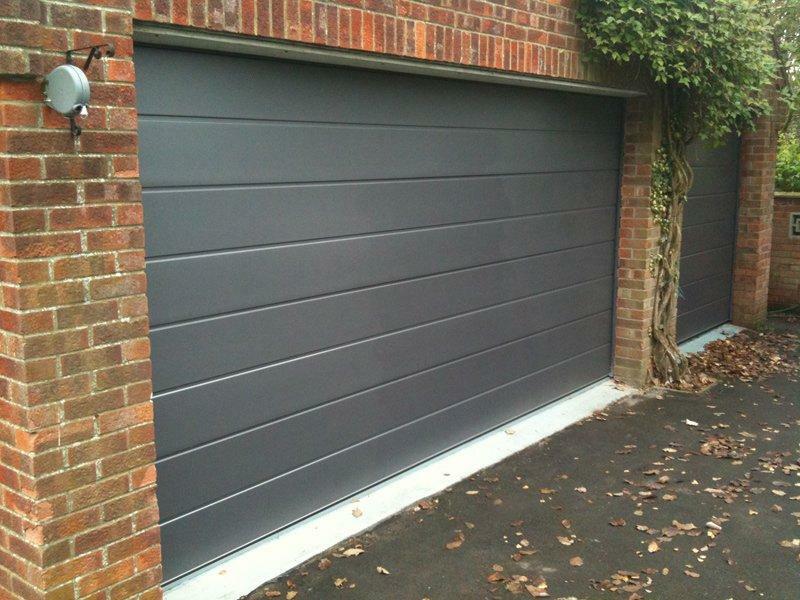 By carefully listening to your needs we will find the garage door to perfectly suit your home. The ideal standard specification is remote controlled electric operation for maximum convenience and ease of use, but easy manual operation is available. A comprehensive range of accessories are available to enhance the automation of your garage door. You can select a control most suitable for you from a convenient key-ring transmitter, in-car transmitters and wall switch or radio keypad. The motor is fitted with an automatic cut-out if an obstacle is encountered offering you compete safety and peace of mind. Our Sectional Garage Doors are fully compliant with all European approach directives and product safety standards and are CE marked to demonstrate their compliance.